How about having technology help the generation which is least familiar with it? Natural Language Processing or NLP can be of a great use for aging elders. One of the core concept of NLP is the ability to recognize human speech. Voice control is already very popular with Google Home, Amazon Alexa, Apple Siri. These can help senior citizen, especially if they are living by themselves. Speech recognition goes hand in hand with another NLP concept of question answering. 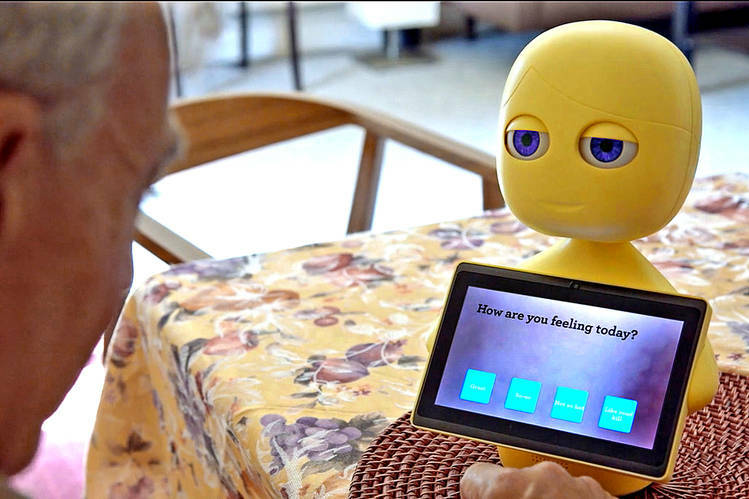 A chatbot, which can strike a conversation with the aging elders will be invaluable companion. It can carry on every day talk to avoid loneliness. It can remind them of their medications, update them with the news around the world, help them call their family and friends, respond to voice commands to switch on TV or light controls. It can also play a crucial role in detecting the health of the elders, how their speech has been impacted over time and identifying any signs of dementia or Alzheimer’s. Using sentimental analysis, it can understand the emotions behind the words and can respond to the elderly person with needed care. The speech log can be sent to family and doctors to keep check on senior citizen’s health. Language translation can help elders with their daily conversation with people not speaking their language. It also encourages them to travel alone, which can boost their confidence.